Phoenix stadium stuff, Marlins stadium stuff, miscellaneous odds and ends. Earlier this week, the Phoenix city council voted to approved spending $150 million to help finance the renovation of the Suns’ arena. The Suns themselves will only be contributing $80 million. [NOTE: the city is still paying off the bond it took out to finance the original construction of the stadium.] If you haven’t seen the following video during the public comment at the meeting, please enjoy. Now, TBP would never endorse violence. The public must be allowed to vote on this. If you go ahead and pass this, you are crossing the line and carrying out the equivalent of an act of violence against the public. He’s not wrong. It is violence to rob us of funding that could be saving lives in hospitals or schools of community centers or libraries. The lack of a public referendum here will hopefully, if there is any justice in the world, cost the six councilmembers who voted to approve this their seats. The simple fact that players don’t have it drilled into them not to say this is a major indictment of the union. Anybody who tries to frame professional sports as a ‘kid’s game’ is doing it solely to divorce the actual labor taking place from the product, and steal money out of the pocket of the laborer. And here’s the laborer thanking them for it. Professional sports are not ‘kid’s games’. They’re billion-dollar enterprises where billionaire owners turn huge profits of the backs of the athlete worker. 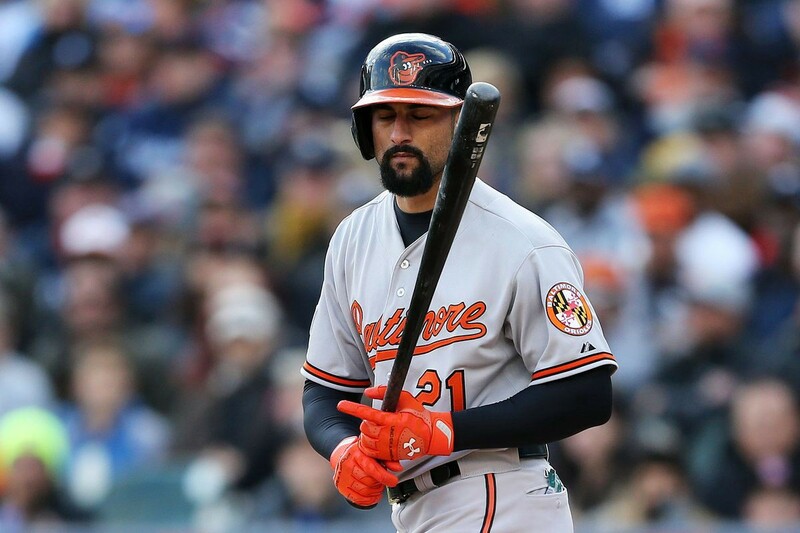 Markakis just increased the profits of the Liberty Media Corporation (worth about $5 billion) for no reason. There’s no salary cap in baseball. Profits were at a record high this year. The only reason it’s not going to the players is the lack of discipline and solidarity among their ranks, and that falls solely on the shoulders of Executive Director Tony Clark and the MLBPA. It’s the same reason we see elite players without teams spending the money to sign them. The teams don’t believe the players have the discipline to actually hold out for what they’re worth. It will be labor malpractice if we don’t get a lockout in the next time a new CBA gets negotiated. If you haven’t heard, the Miami Marlins just announced that they will no longer accept cash anywhere in the stadium. I imagine if you’re reading this blog, that probably wouldn’t affect you. A growing number of businesses seem to be getting in on this cashless trend as more and more people turn to cards or apps exclusively. There are a number of places here in Austin that don’t accept paper currency anymore, and I know that’s true of other large cities as well. It makes sense from a security standpoint I suppose. You can’t really rob a place of credit card transactions. But, 2010’s The Town aside, I can’t imagine that there are too many stickups happening at professional sport stadia these days. And as many media outlets have reported over the past few years, going cashless hurts those without cards, namely the poor and elderly. This is certainly not a concern for Marlins president Derek Jeter, who has shown himself to be quite the scumbag in the short time since his retirement. Earlier this year, they already announced a plan to decrease stadium capacity by about 5,000 by taking away the cheaper upper-level seats. Jeter and the Marlins aren’t the first sports team to go cashless (they are the first in the US), but they join a number of European football clubs in making it clear that if you’re poor, you’re really not welcome here.